BuddhaHand: Do You Have The 3rd Eye? "FEEL IT AND BE TOUCHED BY IT"
BY THE FORCE OF WATER AND WIND. AND NO TWO STONES ARE ALIKE. THE BUDDHAHNAD IS INDEED ONE OF ITS KIND IN THE WORLD. “Develop an attitude of gratitude and give thanks for everything that happens to you"
NOTE: This blog is setup for my 15" notebook at screen resolution 1280 x 768. If you have problem viewing this blog, you can TEMPORARY adjust the fonts and display on your screen by pressing CTRL + SCROOL your mouse middle roller button UP and DOWN at the same time. Do You Have The 3rd Eye? I occasionally encountered interesting extraordinarily experiences such as "sighting" and dreams that I shared with my family and friends. However, such story would be interesting with photos. Right? Like they sad, a picture is worth a thousand words. Let see what do you think about this story with A PHOTO I took. Last Thursday (26/5), I was back in Kangar to attend a family-related funeral. 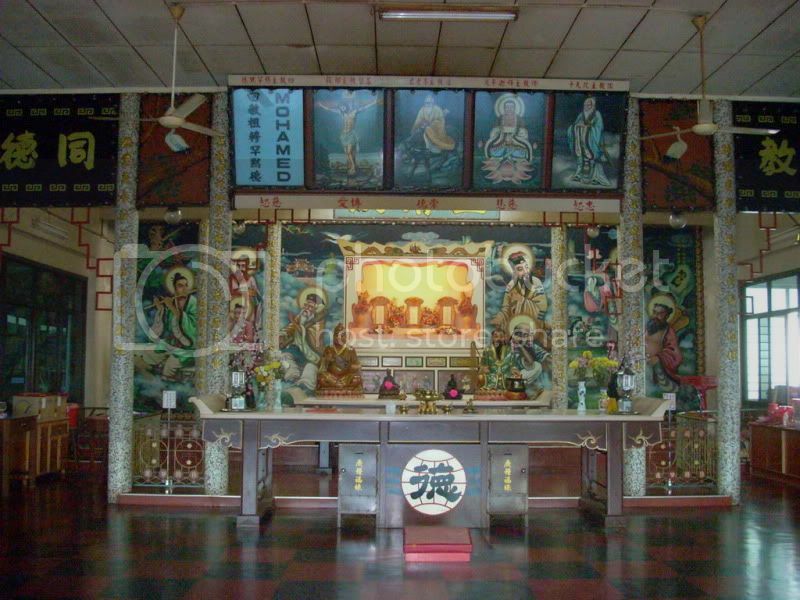 In the afternoon, my brother asked me to accompany him to the Che Yang Khor Moral Uplifting Society to pray homage to the patron saint "Su Chun". 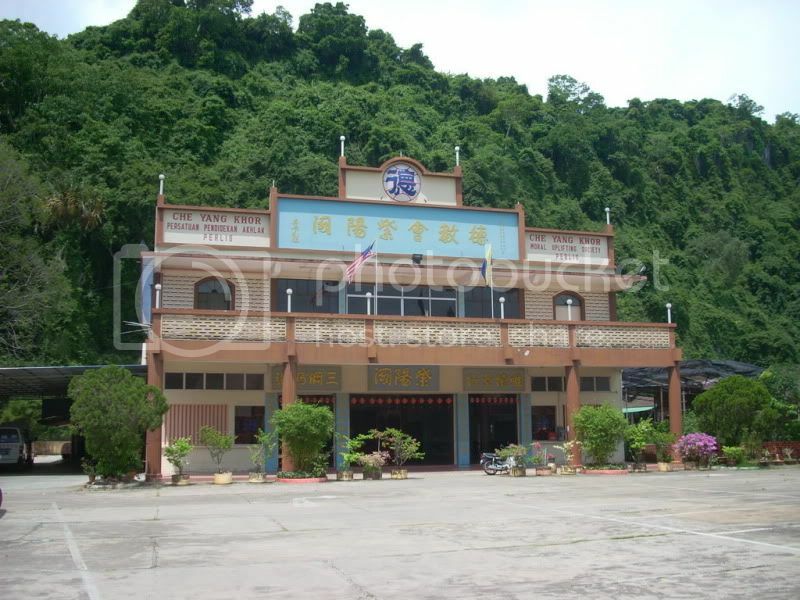 Che Yang Khor is a very interesting place that worship all the 5 major religions in the universe. "Su Chun" is the "secretary" between us and the supreme beings. 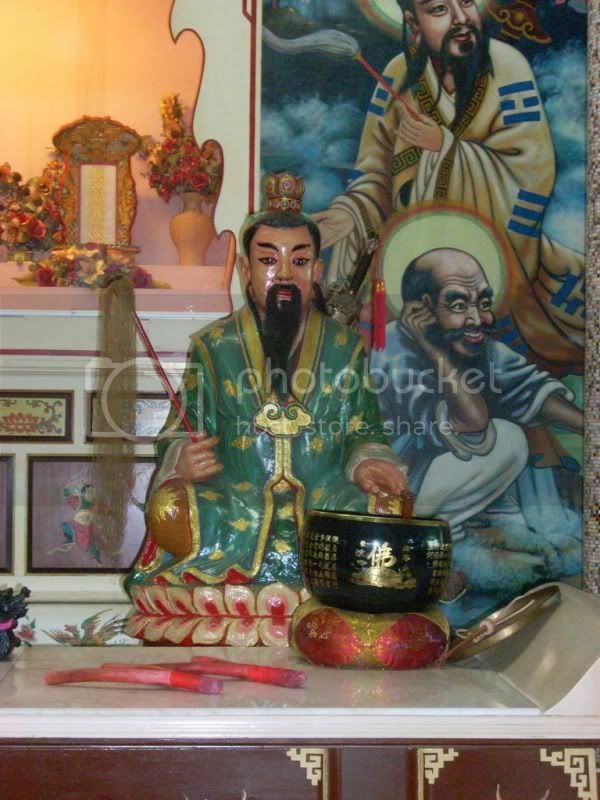 After offering our praying, I just have the urge and took out my handphone and took a photo of "Che Kong" on the altar. Just A SHOT with my poor Samsung handphone. That evening together with my brothers/brother-in-law and sisters/sister-in-law, as usual we have sumptuous sea food dinner at Kuala Perlis. While waiting for the dishes to be served, I was looking at the photos in my headphone and while panning the photo on "Che Kong", an "object" caught my attention. I shall not disclose you the answer. But, I shall let your imagination runs wide to pick up the object I spotted here. I think it looks interesting if you have the imagination like I do. So let see if you too have the "3rd Eye" to spot it too. Have fun. #1. 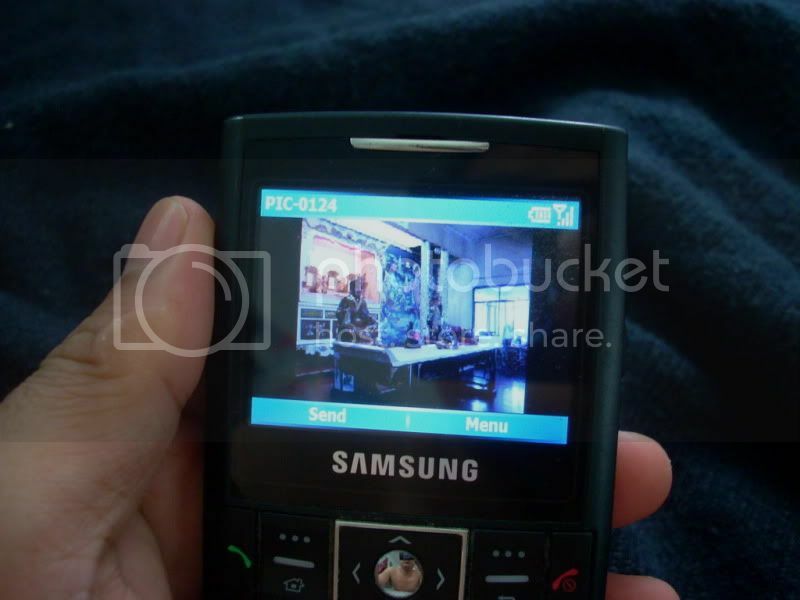 This photo was taken with my 1.3mp Samsung camera without flash. Enlargement is impossible due to its low resolution. However, the photo is quite sharp to see the object on below photos #5 & #6. #2. 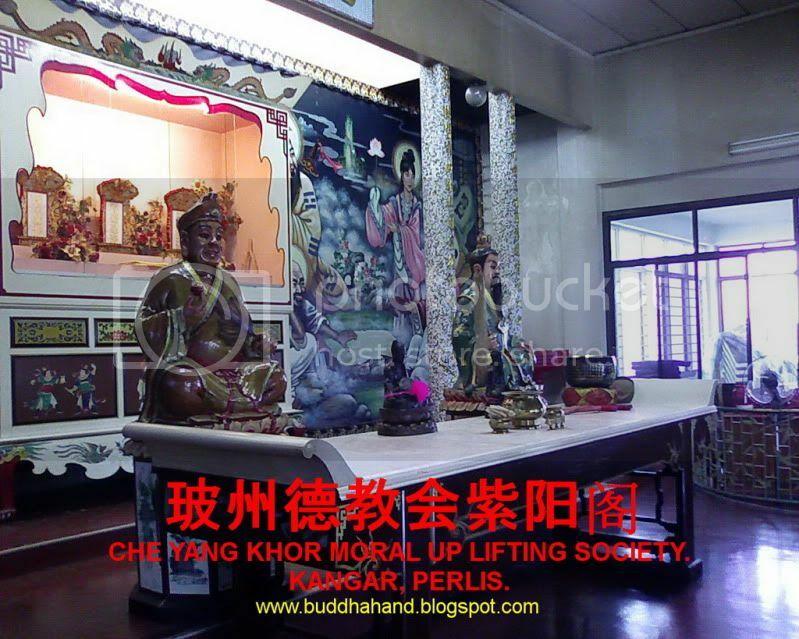 Che Yang Khor @ Kangar, Perlis. #3. See those 5 Major Religions posters above the altar? They represent our 5 fingers. #4. The Patron Saint on the altar. #5. Here is THE shot of Che Kung (the closer statue) from my SamSung. Can you see something unusual here? #6. Here is a close up view to help you focus on the object. See it yet? #7. In case you still can't see it. Oh well... I have turned off all the light levels to give you a clue. Photos #4 & #7, are the clues here. Please post comment on what you think or what you see. Thanks. Ha ha...I have received a lot of calls from friends too about what they're missing. Told them all the hints are there and you just need to be patient with a bit of imagination to "see" it. Many have came back to tell me they "saw" it. Let see how many out there still can't see and I can guide you to see it. I saw an image imprinted on the wall. Is that correct? Looked like water staining on the wall? 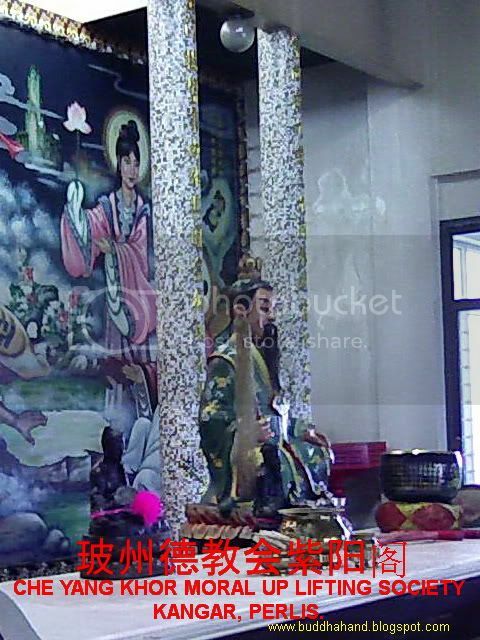 I did capture similar 'paranormal' picture during last year's Qingming Festival inside a temple. Thank you for visiting my blog to learn about the BuddhaHand and my works. If you have any query, comment, idea and suggestion, I wold love to hear from you. You have a nice day. BuddhaHand is released for sale under the "LOT" posting. Please check out the "LOT 4 SALES" posting in the Labels or Blog Archive. Click here for the latest LOT releases. I am an Revit Architect by profession residing in Penang, Malaysia.